Jordan Peterman is from Lumby, BC, and now lives in Nanaimo on Vancouver Island. He is a freelance writer, artist and aspiring anthropologist with a degree from Vancouver Island University. His passion is doing volunteer work in the Philippines, which he considers his second home. 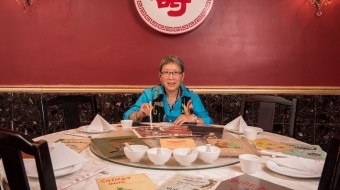 There are many personal stories, community histories and transnational relationships peppered throughout the menus of Chinese restaurants.